The most senior loyalist ever to agree to become a so-called supergrass volunteered to kill a Catholic to cover up the fact he was an informer. Sean McParland died after being shot while babysitting in Belfast in 1994. The Ulster Volunteer Force was to decide the identity of the killer by flipping a coin, Belfast Crown Court heard. 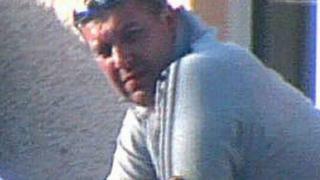 But Gary Haggarty volunteered to be the "primary gunman" because he feared he was suspected of being a police agent. The intended target was a relative of Mr McParland, who was 55. Haggarty, an ex-commander of the UVF's north Belfast unit, was working as a paid Special Branch agent at the time of the killing. He worked as an informer for 13 years. In January 2010, he offered to become a supergrass - officially referred to as an assisting offender - and offered to give evidence against other UVF members he said were also involved in the crimes he committed. Haggarty, 45, a long-time police informer, has pleaded guilty to 202 terror offences, including five murders, as his part of a controversial state deal that offered a significantly reduced prison term in return for giving evidence against other terrorist suspects. The two-day sentencing hearing is expected to conclude on Thursday. Haggarty is likely to be given mandatory life sentences for each of the murders he has admitted. But he will also receive a significant reduction in his sentence in return for the amount of information he has provided as an assisting offender. Mr Justice Colton will make that decision based on the information put before him during the hearing. It is not clear when the sentence is likely to be imposed. Haggarty is to be the star prosecution witness in the trial of a man accused of murdering Catholic workmen Gary Convie and Eamon Fox in Belfast city centre in May 1994. But before he can give evidence he must first be sentenced for his own crimes. That formal process began on Wednesday when a prosecution lawyer outlined some of the details of Haggarty's confessions to police. In one of the biggest and most complex cases undertaken in Northern Ireland, he was interviewed by detectives more than 1,000 times and the information he gave them ran beyond 12,000 pages. The extent of his criminal activities is staggering. As well as pleading guilty to 202 crimes, he asked that 301 others be taken into consideration. Relatives of some of the victims were in court on Wednesday as a prosecution lawyer spent more than four hours outlining the extent of Haggarty's activities. He included harrowing details of some of the incidents. The judge was told how three of Sean McParland's young grandchildren ran screaming from his house in Skegoneill Avenue when the UVF burst in to kill him. In police interviews, Haggarty said he shot the 55-year-old in the chest from close range. He had planned to fire another five bullets into his chest, but could not do so because his gun jammed. The prosecution lawyer said Haggarty, who was promoted within the UVF after the shooting, expressed regret during interviews after agreeing to become a supergrass. "He said he is sorry, it was the wrong person killed, he is sorry for the kids that were there," said the lawyer. The court was also told that Haggarty acknowledged that two more of his victims, Eamon Fox and Gary Convie, were innocent men and not republicans as claimed by the UVF at the time. "He said he did not believe they were republicans, but just soft easy targets," added the lawyer. Kieran Fox, one of Eamon Fox's six children, was one of the relatives in court as the details of Haggarty's litany of crimes was outlined, and welcomed the admission. "To hear that Haggarty has admitted before they actually carried out the shooting that my dad and Gary were both innocent, that they were not republicans as they claimed at the time, it was nice to hear that part," he said. The court also heard harrowing details about the extent of injuries to John Harbinson. The dead man's son was also in the public gallery but left shortly after details of the injuries were described. Haggarty was involved in abducting Mr Harbinson, but told police he thought he was going to be beaten and shot in the legs, rather than killed. The hearing will continue on Thursday, when a lawyer representing Gary Haggarty will outline details he gave his police handlers during 13 years as an informer. Prosecutors have said Haggarty's evidence is insufficient to provide a reasonable prospect of obtaining a conviction against 11 other suspected UVF members and two former police intelligence officers, allegedly his then handlers. The police bristle at the very mention of the word supergrass, because of its association with a series of high-profile trials in the 1980s. Hundreds of republicans and loyalists were convicted on the word of informers and suspects who agreed to give evidence in return for reduced sentences, new identities and lives outside Northern Ireland. Those deals were done at a political level, with the details kept secret. Technically, those individuals were assisting offenders but they became known as "touts" and "supergrasses" in communities. The system collapsed in 1985 because of concerns about the credibility of the evidence provided by the supergrasses. Members of the judiciary complained that they were being used as political tools to implement government security policy. A change in law in 2005 implemented safeguards for trials of that kind.